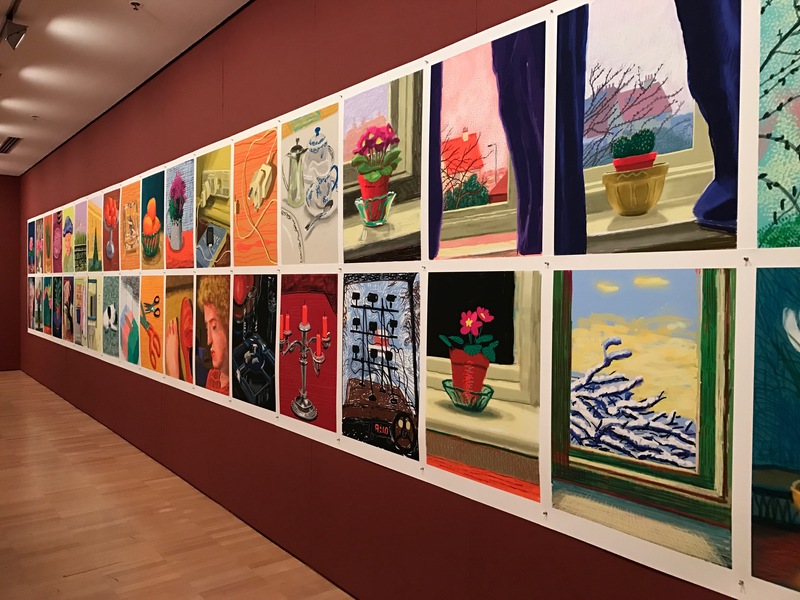 David Hockney:Current is an exhibition at National Gallery Victoria, Australia from 11 November 2016 until 13 March 2017. 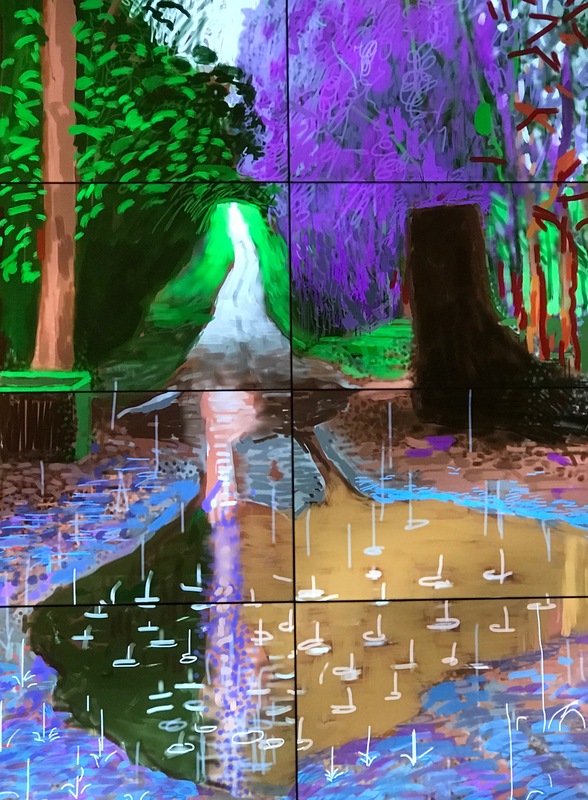 David Hockney is a highly innovative English contemporary artist who, despite his 79 years, has a massive output of work in a wide range of media. In the exhibition, there are over 700 artworks including oil and acrylic paintings, digital drawings, photography and videos. And, the subject matter covers the genres of landscape, still life and portraiture. His highly innovative work is at the cutting edge of technology and aims to inspire new ways of seeing. In fact, his work is so inspirational I couldn’t wait to download the ‘brushes’ app, buy a stylus and start doing i-pad and i-phone drawings. Some of my efforts can be seen on instagram. 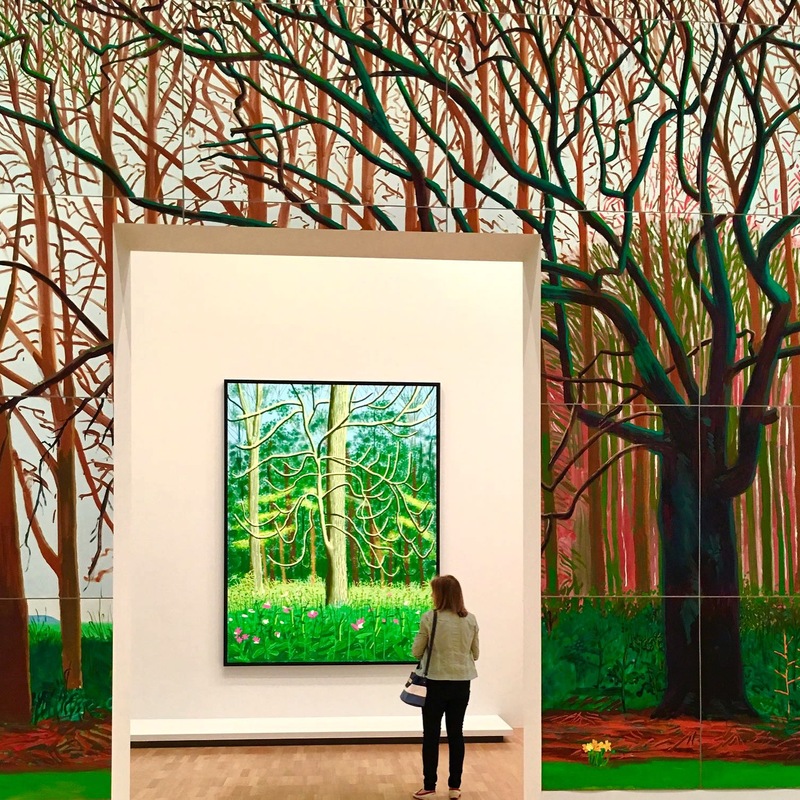 Many of Hockney’s landscapes deal with nature and he paints enormous trees like the one above. But he is also fascinated by pathways that lead the viewer into the landscape on an imaginary journey. This is also a theme that I am currently exploring to show the pathways leading through the Via Francigena pilgrimage route from Canterbury to Rome. 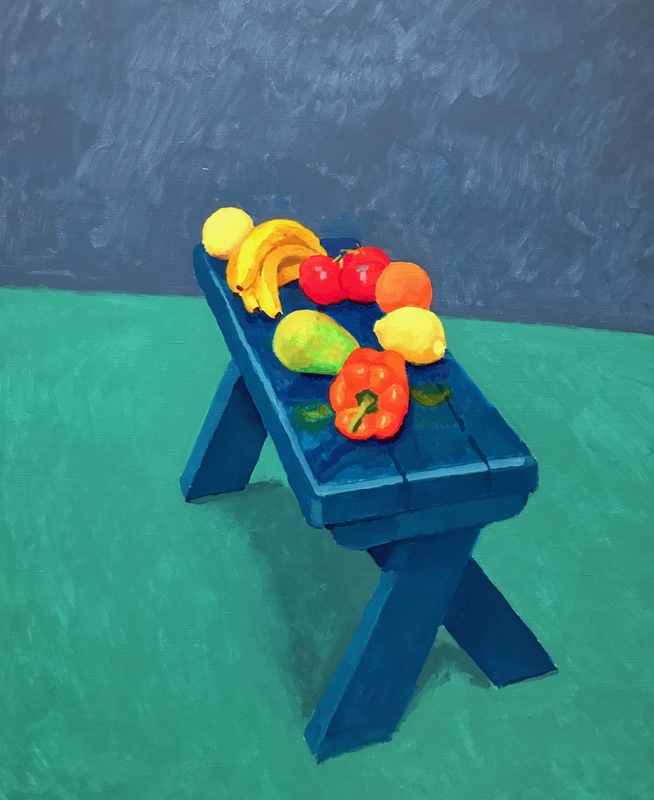 Hockney is interested in the interplay of time and space in artworks. It is a remarkable feature of i-pad drawing that every stroke is recorded. And it is possible to replay the production of a whole drawing. I sat and watched this drawing being created from start to finish. This wall full of drawings were all done on an i-phone! This is just a small selection of the delights of this exhibition! Aside from these amazing landscapes, Hockney painted 82 Portraits and 1 Still Life, in acrylic, between 2013 and 2016. These are people connected with his daily life and they were painted over a 3 day period. True to his sardonic humour, he painted the still life when someone failed to show up. I have chosen to talk about the works that inspired me the most. But, in the exhibition there are other truly remarkable works, especially Hockney’s innovative use of video cameras to record the seasons. He also uses video to capture the interplay between time and space. In conclusion, I have to say, this is exhibition is brilliant! But, then, he is my favourite contemporary artist!